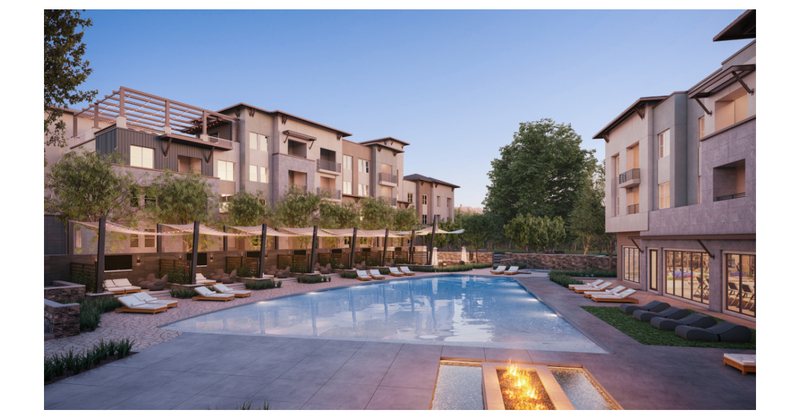 SAN DIEGO–(BUSINESS WIRE)–For JPI, a leader in the development of Class A multifamily communities, the goal of delivering a top-of-the-line community to the residents of Santa Clarita’s Vista Canyon is now within reach. The company announced today that they have closed construction financing on Jefferson Vista Canyon, a $190 million, 480-home luxury apartment community. Comerica Bank, based in Dallas, and Colony Credit Real Estate, based in Los Angeles, will provide construction financing for Jefferson Vista Canyon. Designed by Architects Orange, based in Orange, California, Jefferson Vista Canyon is set to be complete by spring 2020. JPI is a national developer, builder and investment manager of Class A multifamily assets across the U.S. and is the most active multifamily developer in Dallas-Fort Worth. Headquartered in Irving, Texas, JPI also has offices in California, Arizona and New York. With a 30-year history of successful developments throughout major U.S. markets and an unparalleled depth of industry-specific experience, JPI stands among the most active privately held real estate companies in the country. JPI’s executive leadership team has an average of 25 years of comprehensive experience in multifamily developments – including low-density garden apartments, mid- to high-density wrap and podium projects, mixed-use developments, and student living communities. The firm offers investment management, predevelopment, underwriting, marketing and asset management services as well as construction, financial and administrative services. For more about JPI, visit JPI.com. Comerica Incorporated (NYSE: CMA) is a financial services company headquartered in Dallas and strategically aligned by three business segments: The Business Bank, The Retail Bank and Wealth Management. Comerica focuses on relationships and helping people and businesses be successful. In addition to Texas, Comerica Bank locations can be found in Arizona, California, Florida and Michigan, with select businesses operating in several other states, as well as in Canada and Mexico. Colony Credit Real Estate (NYSE: CLNC) is one of the largest publicly traded commercial real estate (CRE) credit REITs, focused on originating, acquiring, financing and managing a diversified portfolio consisting primarily of CRE senior mortgage loans, mezzanine loans, preferred equity, debt securities and net leased properties predominantly in the United States. Colony Credit Real Estate is externally managed by a subsidiary of leading global real estate and investment management firm, Colony Capital, Inc. Colony Credit Real Estate is organized as a Maryland corporation that intends to elect to be taxed as a REIT for U.S. federal income tax purposes for its taxable year ending December 31, 2018. For more information on the company and its management and business, see clncredit.com.